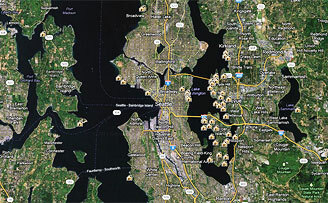 Village Homes and Properties is a full service real estate company specializing in re-sales, new construction, condominiums, bank owned properties, rentals and property management in Seattle and the greater Puget Sound region including the Eastside-Bellevue, Redmond, Kirkland, Issaquah and Woodinville. Whether you are buying your first home, retirement home, or an investment property, the experienced brokers at Village Homes and Properties can help make your experience a pleasurable one. We look forward to assisting you.